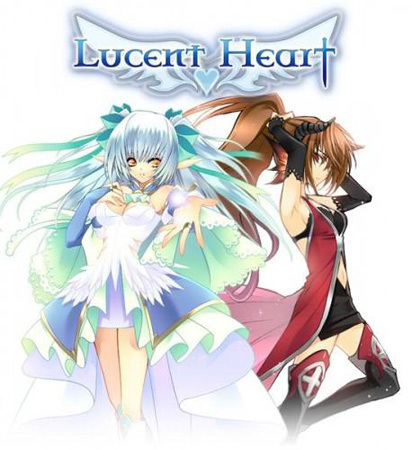 Welcome to the mystical world of Lucent Heart, that is published by Suba Games, and has now been released in open beta since January 7th, 2014! 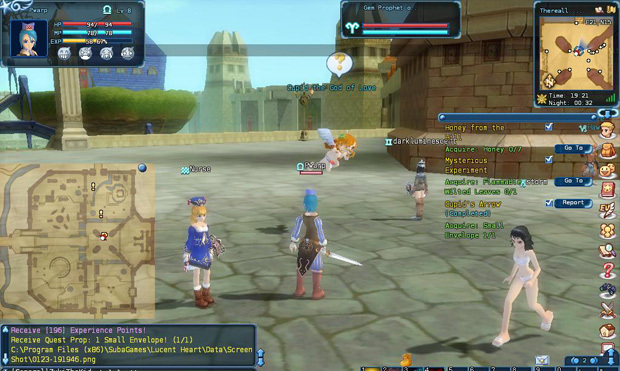 Lucent Heart is a fantasy MMO with an art style that has an anime feel to it within the characters and creatures that roam its strange, yet captivating fantasy world. 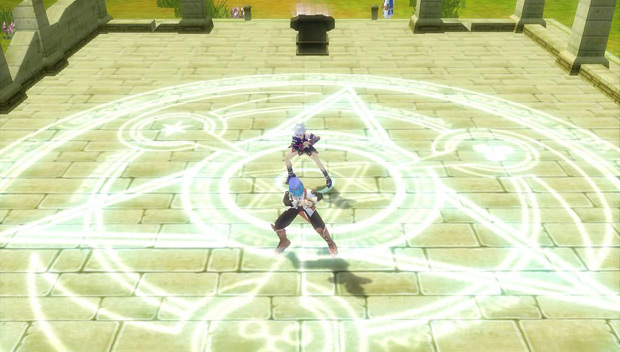 It offers 2 main roles in the beginning, either a mage or warrior, that can branch off into many different classes later on, an epic battle system that’s fought with countless spells and abilities that are put onto hotkeys and directed at enemies by the clicks of the players’ mighty mouse. Moving on there are a wide variety of professions to fill in its Crafting System, along with the Cupid, Dance, and Zodiac Systems that were made to heighten player interaction or gain some kind of rare perks. Many gods and goddesses from Greek mythology are encountered in this game, and you’ll see a good number of them throughout the course of your crusade.You, personally, fulfill a prophesy that came to you within a dream where the goddess Theia told you to travel to a great city in the center of Acadia called Thereall so you can learn from the great masters there in order to defeat the many forms of darkness in the world. 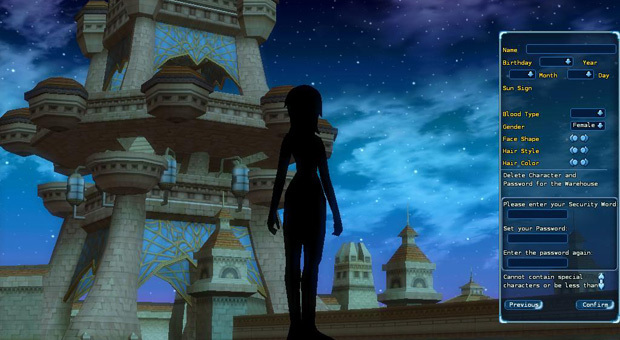 When you first arrive there, you’re almost immediately warned of the dark goddess Cadena, who has started to abuse the power that she was given by yet another goddess named Hecate, so she can gain the most powerful item in the land- the Lucent Heart. With her new found abilities, she’s been creating something called ‘Rifts’ across the land, which are great storms that allow her to plague the world with vile creatures that come from each one of these passing cataclysms. Your destiny is to embrace the power of your Zodiac sign, and rally up fellow knights that will help you in your quest to defeat Cadena along with whoever else that threatens the peace that all of Acadia can only hope for at this point. I was a little disappointed to find out that you could only customize your hair color and style when you develop the way your avatar appears to the world. Unfortunately, they left out the weight, height, facial hair, tattoos, battle scars, etc., which kind of limits the diversity of each player to appear as a fleet of young looking teenagers with identical bodies (minus the difference between male and females!). You’re also prompted at the start to choose the date and birth of your character, which plays a significant role in certain attributes that pertain to each class down the road. Astrological references are commonplace in this game with the Zodiac system that it has, so I’ll definitely get more in detail with that soon. Everyones’ role at the beginning is that of a Beginner (go figure), until you reach level 4, when you’re able to either become a mage or warrior, and these classes heavily branch off throughout the duration of the game. With my never ending love for magic, I naturally chose the mage role. After learning a handful of spells and completing a number of quests, I was faced with yet another decision on whether or not I wanted to be a Wizard or a Priest at level 10. In other words, should I blast enemies with attack magic, or heal allies in times of peril? I chose to be a Wizard, which could eventually become a Moon Flame Envoy (magic damage dealer), or a Galaxy Sage (mystic support), as its final forms at level 36. Had I chose a Priest, I could have turned into a Dawn Prophet (empowering enchanter), or a Sun Commissioner (healer). A Warrior, on the other hand, can become a Knight, which is more of a melee route, or a Gunner, that deals ranged damage. A Knight can turn into a Solar Guardian (tank) or a Celestial Templar (attack damage dealer), while the Gunner can later become a Comet Marksman (burst damage dealer) or a Nova Sentinel (ability enhancer). The Warrior class and its further roles are based on the same level requirements that I mentioned within the Mage tree. 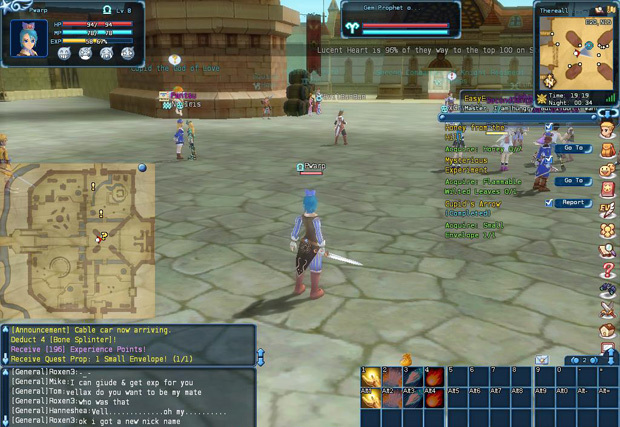 Like many other MMO’s, Lucent Heart can be considered a point and click paradise. You have up to 4 different pages of hotkeys that you can assign to all of, well, anything to, with a total of 36 spaces on each one. No matter what I decided to fit them all with, I chose to keep one of these hotpages dedicated to my combat abilities, but hey, that’s just me. This can be done by merely dragging and dropping each selected ability or item from the column of categories on the right of your screen into the desired hotspot. Once everything is where you want them, you hit the numbers that they’re assigned to so you can use these abilities/items easier. You do a lot of traveling, which can be done in 1 of 2 ways. The first is to click in your range of sight to where you want to go, which places a beacon of light that your character will follow. You can also click to a point on the map to make your player automatically go there, which I found to be pretty convenient. Another way to walk around is use of the W (forward), A (left), S (backward), and D (right) keys that act as directional arrows. As you press these in movement, you can hold a right click of the mouse to continuously change the viewpoint of your player. 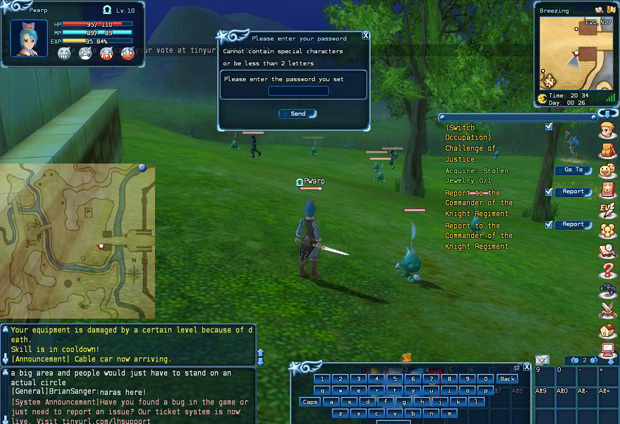 I’ve played other MMO’s before, of course, so I mechanically hit the space button thinking it would ascend my character into a leap of joy, but it looks like they decided against hopping of any kind. Once you have control of your character, you’ll begin to see ?’s (completed quests) and !’s (new quests) appear over the heads of certain NPC’s. At first, they use you as a messenger just so you can report to the people that are there to help you in your journey. Once you’ve made your rounds with them and have learned the skills necessary for combat, they’ll eventually send you off to eliminate certain things. To do so, you must venture off to areas around Thereall. For every quest, you’ll most likely have to kill a set number of specific targets, or collect items that they carry. In other games like this, you’re sometimes required to collect objects of different kinds from glowing areas you see as you walk around in the place of interest for the quest, yet I haven’t been required to do this yet after a while of playing. It seems like you’re Acadia’s bounty hunter, because like I said, the only way to obtain quest items is to take out enemies that carry them. The quests themselves can be found in a list that’s on the right hand side of the screen. Once you click on one, you’ll notice a convenient beam of light that’s there to direct you to where ever it is you’re supposed to go for that particular one. You can either rely on this light course, or you can click the ‘go to’ option in the quest list to just automatically direct your character to run to the designated area that you’re supposed to visit. Certain quests are daily and nightly, and will only appear at certain times, so be sure to pay attention to the in-game time that’s displayed on the minimap. 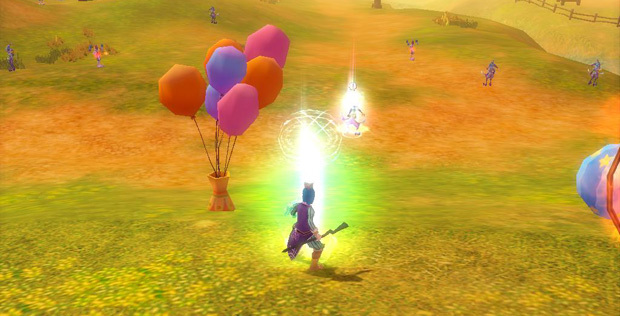 By using your combat abilities that you’ve hopefully alotted to your hotbar (#’s 1-0/F1-F12), you’ll find that it’s pretty easy to use them on enemies after targeting them with a left click. I found out that you have to actually left click several times to strike an enemy you’re facing in close quarters with your weapon. The downside to this is that it can be pretty hard to actually hit them if they decide to move around at all. You’ll find that it’s very easy to level up to around 12, with each quest giving you a significant amount of exp in addition to the foes you have to clear out for them. In this time, it’ll be easy to grind as long as you keep up with the proper equipment for your current level. Each time you do level up, you’ll be given a treasure chest that contains various items that include the armor and weapons I just mentioned. Love is in this game’s air, thanks to the Cupid System! 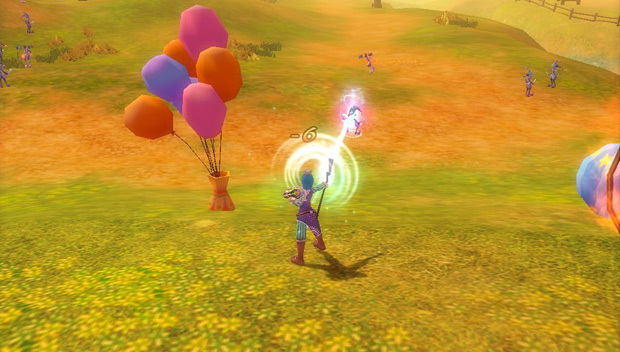 One of the most unique things in this game is its Cupid System, designed to encourage love and friendship between players. In order to begin playing the field, you have to visit what appears to be a winged Gerber baby named Cupid, the god of love, who seems to be a bit young to be wielding a bow. Up to 3 times a day, Cupid will assist you in finding a good match in other players, depending on how you filled out a short questionnaire. Once you find your possible soulmate, you lovebirds are able to get 2X the normal experience gained in questing with ‘sweet points’, so it definitely seems worth it to me! If that isn’t enough, then maybe telling you about the flowers that couples can grow, and the daily quizzes you can do with Cupid each day will be. By growing these flowers with your special someone, special petals can be collected from them, and then used in the creations of a bunch of different accessories. By completing the daily compatibility quizzes that I mentioned before, you gain tokens of love that can be traded for certain items that can only be obtained from doing this. Ever since the Scaena expansion came out for this game, players have been able to actually dance with selected partners, and even pick out the tune for each one of these sessions! They also have competitions called ‘Step Ups’ that take place only on the dance floor, and can reward the victors with some pretty cool items. Every time one of the competitors misses a beat by not pressing a required button for one of the dance moves, their score dwindles. 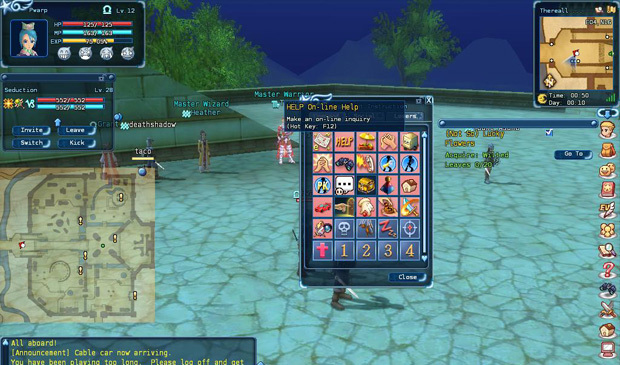 Lucent Heart Dungeons, plus ones that you made? You can either conquer dungeons that the game makers themselves have made, or, get this, ones that you’ve designed yourself! In order to do this, you’ll need something called Star Cores in 3 different categories that include the creature core (determines the enemies you’ll face), the Scenery Core (creates the dungeon’s environment), and the Treasure Core (governs the loot players can find). Dungeons have been called the most challenging aspect of the game, so it’s recommended that you bring some friends to help in the great dangers found in them to better your chances! Zodiac, Signs, and Astrology, oh my! When you first begin the game, you can already select how you want to fit into this game’s one of a kind Zodiac System by setting your character’s birthday. Whatever sign you gain from your chosen birth time can effect various increases or buffs, give certain abilities, and allow you to create Zodiac armor. 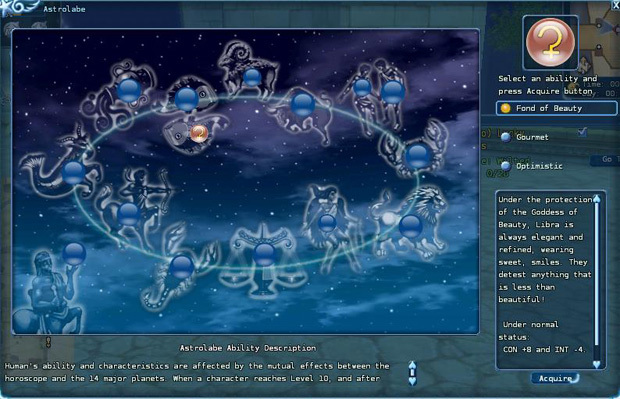 At level 10, an Astrolabe quest will be available that lets you access the Zodiac skill tree, which makes it possible to attain different Zodiac abilities. 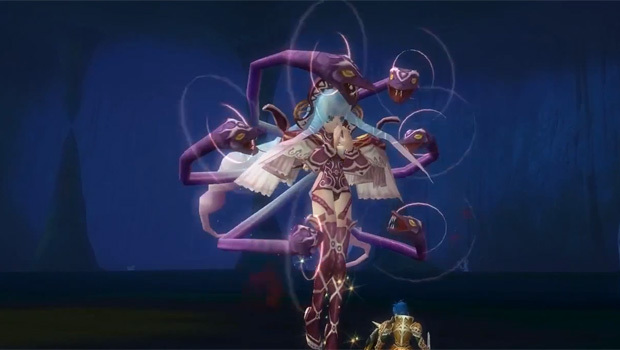 Level 30 will unleash the true power in your Zodiac armor as well. 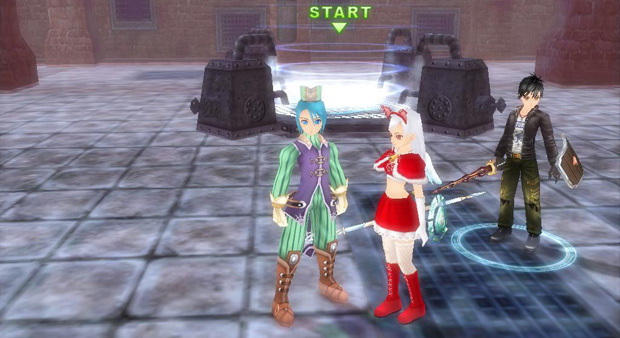 Lucent Heart allows players to work in one of the professions it offers that include Alchemy, Tailoring, Blacksmith, Card Design, Jewelry, and Machine. In order to get started with this, visit Quincy in Thereall once you’ve reached level 5, and tell him what you want to do. In order to do anything in any of these crafts, you have to have materials that recipes call for, and both of these things can either be found by certain NPC’s or dropped by slain enemies. One of the key points that I want to bring up right away is the Cupid System. 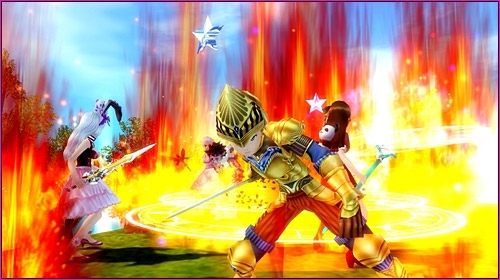 Most people that play MMO’s want others to play with, in order to simply have more fun, and the Cupid in this game really helps out in bringing these kinds of players together in friendship or even bonds of love! If that wasn’t enough, then the dance system can easily be the icing on this connection cake, with countless dances and even songs to choose while you cut some rug with your partner! I also love the fact that LH has integrated Astrology into it with its unheard of Zodiac System, not to mention all the benefits that come from it. I also like the fact that if someone hacks your account, they’re required to enter a code that pops up when trying to access certain things. Last but not least, it’s good to see a game give something back for your online time- this one does it with rewards. All in all the game seems very solid and I would recommend it to anyone that loves MMO’s mixed with the zodiac system and astrology.